Join me on March 31st at 2PM Eastern time to see how you can easily be creating Dynamic Forms in SharePoint Online with KWizCom Forms. Your organization is Dynamic, so why use static forms? In this webinar MVP Vlad Catrinescu will demonstrate how the KWizCom Forms App for Office 365 works, and how any business user can create advanced and dynamic forms, without the need to be a SharePoint expert. Want to attend? You can register for the FREE webinar here: http://spvlad.com/1pIPf6i . In order to automate some tasks in Office 365 with PowerShell, sometimes you may want to send a confirmation email or a daily report by email. Luckily, there is an easy PowerShell cmdlet called “Send-MailMessage” that allows you to send an email with Exchange Server. You can also do that in Office 365, but you need to specify an important parameter: The Port number. 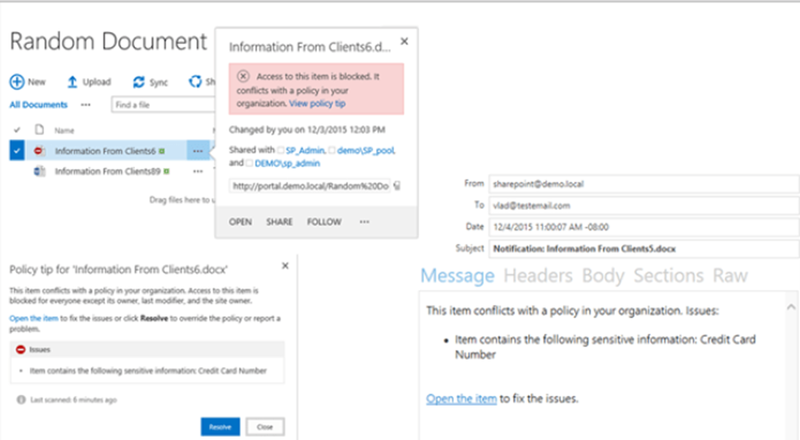 Office 365 only accepts emails on Port 587 and secured by SSL. If you want to learn more about PowerShell for Office 365, check out my Pluralsight course by clicking the banner below! The conference formerly known as “New York City Techstravaganza” will now be called “IT Pro Con NY”. It is a one-day grassroots technical conference for IT Pros that is brought to you by a few of the local community groups in cooperation with Microsoft. IT Pro Con NY 2016 will be held on March 25th, 2016. While this is the fifth year of the conference it’s my first time speaking! There are four SharePoint Sessions in the SharePoint track, but there is also a Windows, Exchange, Azure and PowerShell track! 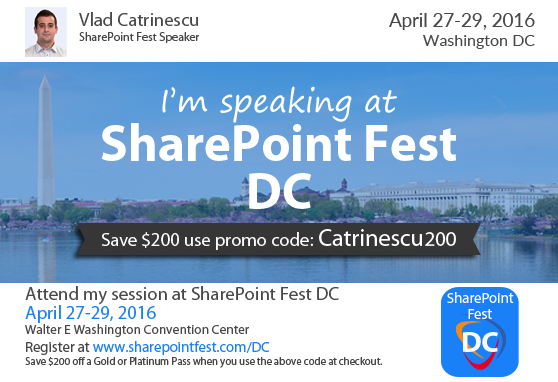 Here are the sessions in the SharePoint Track! 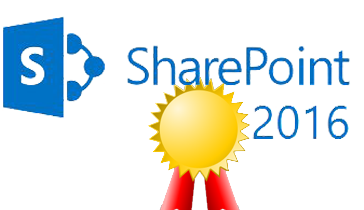 Microsoft Learning has published some interesting information for SharePoint IT Pros interested in the SharePoint 2016 IT Pro Certification. They have released information about Course 20339-1: Planning and Administering SharePoint 2016 as well as Course 20339-2: Advanced Technologies of SharePoint 2016 . The courses are set to be released on July 8 and 21, 2016. I was curious to see what students will learn in this courses, especially for Hybrid and I was a bit let down as the Hybrid Module only seems to cover outbound search & OneDrive for Business, but not the new Hybrid Search, or Hybrid BCS and other Hybrid features. What I found strange is the numbers of the exams. If we look in the past, exam 70-331 (SharePoint 2013 Core Solutions) had course number 20331 while 70-332 (Advanced SharePoint 2013 Solutions) had course 20332. The numbers for the new SharePoint 2016 courses are 20339-1 and 20339-2, which would indicate they apply to the same exam, but I think they just didn’t finalized the exam names yet, so expect the course numbers to change in the future. There is no information if the SharePoint 2016 IT Pro certification will be a MCSE or something else. As soon as I found out, I will share with you. You can use the social links below to stay up to date with my blog! Join MVP Vlad Catrinescu as he digs deep into one of SharePoint 2016’s most anticipated features: Data Loss Prevention (DLP). In this webinar, you will learn how DLP works and how it can help you find and protect sensitive data in your SharePoint sites, whether they are in your datacenter, in the cloud or both. Register today at: http://spvlad.com/VladDLP ! With SharePoint 2016 out sometimes this spring and other connected services such as Azure and Office 365, 2016 is a great year to add some certifications to your transcript. Microsoft Learning just introduced a new special offer called Microsoft Certification Booster Packs to help you get certified! Want to know what’s on an exam? Take a practice test and find out. The practice test is available online and valid for 30 days, so you’ll have plenty of time to prepare. Sometimes it’s smart to add a little insurance to important undertakings. With 4 retakes you’ll get plenty of chances at success. Pull out all the stops and give yourself every advantage. With a practice test, you can spend quality time preparing—plus 4 extra retakes give you exam-day peace of mind. Remember that for the retakes, the standard policy still applies, so if you fail five times, you will need to wait a year before trying to get that exam again! This offer is available for purchase from March 7 to August 31, 2016. Specific exam voucher and practice test expiration dates are listed in the FAQs on the special offer page. This offer is available to customers and partners worldwide. Practice test vouchers in the Booster Pack must be activated by February 28, 2017, and are valid for 30 days from activation. Please visit the FAQs and full T&Cs on the special offers page for more details. What exams do you plan to take in 2016?